This 248 page book is an exciting documentation of the innovative period of the ‘60s and ‘70s when the rhythm of popular music was changed forever. 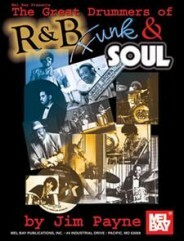 Featured here are biographies, interviews, discographies and rare archival photos of more than 20 great drummers of R&B, funk and soul, including the drummers of James Brown, Earth, Wind and Fire, Otis Redding and Sly and the Family Stone. 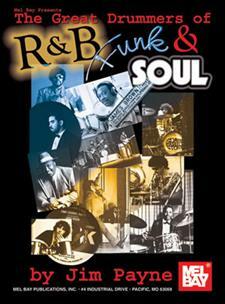 The true originators of the modern hip-hop beats tell their stories, and the history of the funk comes to life. Appropriate for music fans of all kinds, and all drummers: beginners thru advanced.